Lyle specializes in a manual therapy for orthopedic and sports rehabilitation. Lyle listens to his patient’s goals and uses their ambitions, whether it is skiing, playing with their kids, or simply walking, to drive their treatment. Lyle enjoys working with patients of all ages and regardless if it is pain or function that needs to be fixed, Lyle is here to help. Lyle employs injury prevention techniques and implements manual, evidence-based interventions for those experiencing pain. He employs the SFMA (a movement-based diagnostic system) in a biomechanical movement analysis to address compensation patterns to decrease pain and increase function. 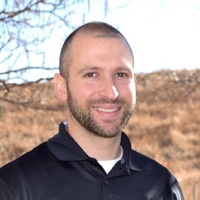 His specialties include working Trigger Point Dry Needling into his treatments to speed up care and decrease pain and working on Temporal Mandibular Dysfunction (TMD) or Temporal Mandibular Joint (TMJ) troubles. He applies extensive continuing education including the application and manufacturing of custom hand splints for various hand injuries and surgeries. Lyle enjoys skiing, mountain biking, and the outdoors with his wife and daughters.